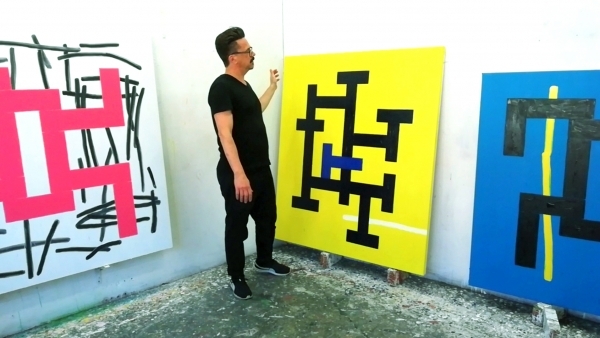 Soft dabs of the brush are transformed into sharp geometrical shapes in the oil paintings of Stig Baumgartner (b. 1969), whose work is inspired by private experiences and memories. 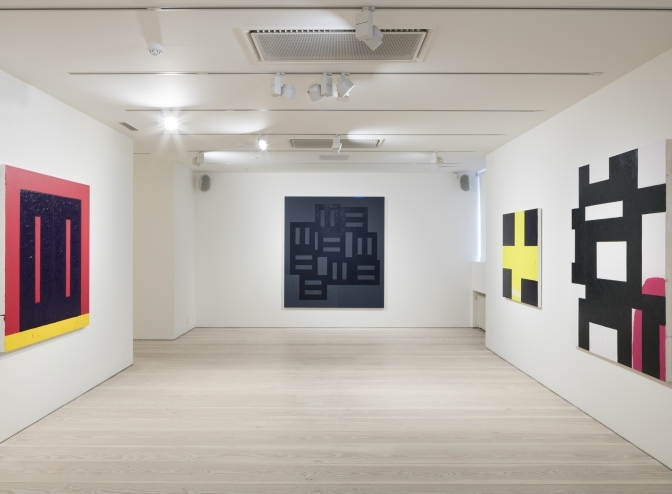 The titles often refer to real people, who are symbolically represented on the canvas as abstract figures. He treats the background as a landscape, or as pure light that pierces through the foregrounded figure to tickle the viewer’s retina. His paintings are infused with a dynamic sense of something having just happened or something about to happen. The elements in the composition variably seem to keep opening or closing, or at other times they stand immovably in place or appear to be on the brink of collapse. 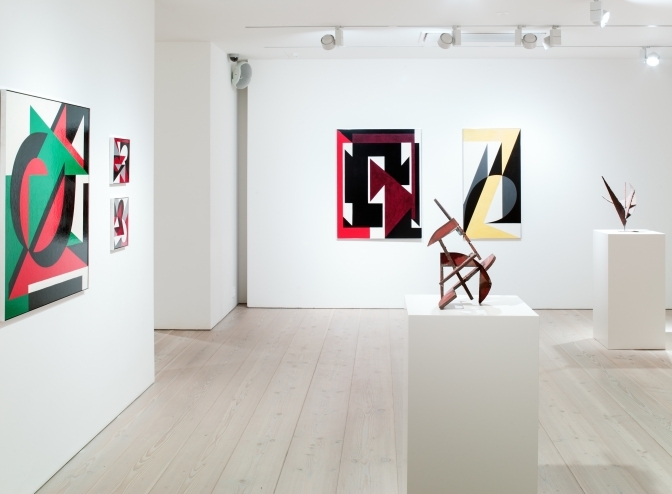 Despite their rationalistic dimensions, his works cannot be described as purely constructivist. 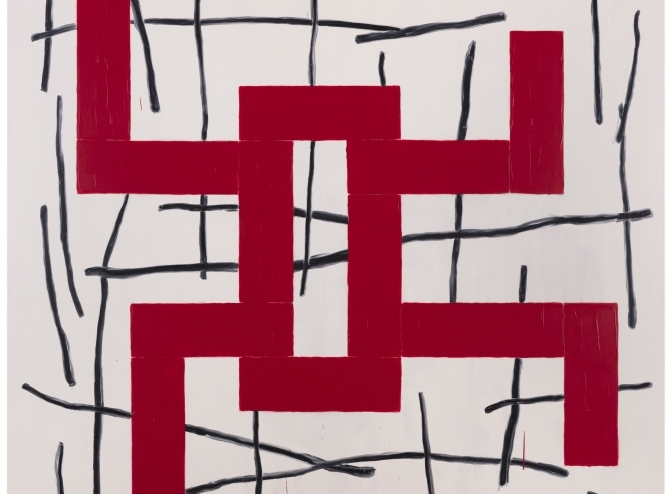 Baumgartner makes no clear distinction between geometrical constructivism and abstract expressionism: both schools of painting have both an emotion-driven and intellect-driven side. 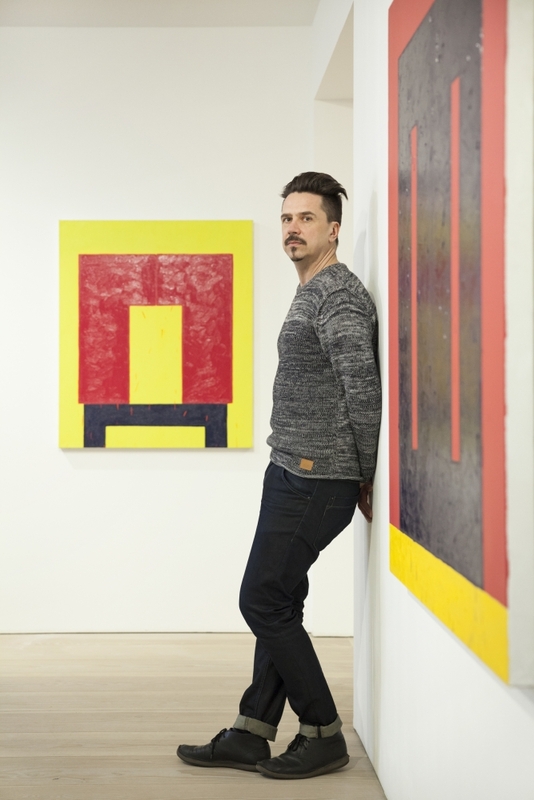 In the interview Stig Baumgartner tells about is art and about his way of working.